Tom Rob Smith has 1 media appearance. Tom Rob Smith will sign and discuss his newest stand-alone novel The Farm (Grand Central; $26). 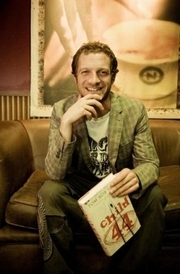 Tom Rob Smith , Child 44. His first novel, Child 44, about a series of child murders in Stalinist Russia, appeared in early 2008 and was translated into 17 languages. Tom Rob Smith is currently considered a "single author." If one or more works are by a distinct, homonymous authors, go ahead and split the author. Tom Rob Smith is composed of 8 names. You can examine and separate out names.